What is the cheapest way to get from Oriole Park at Camden Yards to Milford Mill Station? The cheapest way to get from Oriole Park at Camden Yards to Milford Mill Station is to drive which costs $1 - $2 and takes 19m. What is the fastest way to get from Oriole Park at Camden Yards to Milford Mill Station? The quickest way to get from Oriole Park at Camden Yards to Milford Mill Station is to taxi which costs $40 - $50 and takes 19m. How far is it from Oriole Park at Camden Yards to Milford Mill Station? The distance between Oriole Park at Camden Yards and Milford Mill Station is 8 miles. The road distance is 8.9 miles. How do I travel from Oriole Park at Camden Yards to Milford Mill Station without a car? The best way to get from Oriole Park at Camden Yards to Milford Mill Station without a car is to subway which takes 26m and costs $1 - $5. How long does it take to get from Oriole Park at Camden Yards to Milford Mill Station? 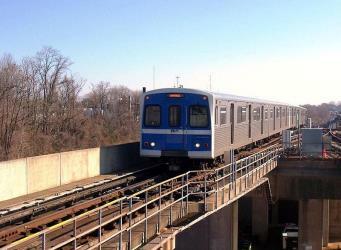 The subway from Lexington Market to Milford Mill Station takes 16m including transfers and departs every 15 minutes. Can I drive from Oriole Park at Camden Yards to Milford Mill Station? Yes, the driving distance between Oriole Park at Camden Yards to Milford Mill Station is 9 miles. It takes approximately 19m to drive from Oriole Park at Camden Yards to Milford Mill Station. Where can I stay near Milford Mill Station? There are 239+ hotels available in Milford Mill Station. Prices start at $70 USD per night. What companies run services between Oriole Park at Camden Yards, MD, USA and Milford Mill Station, MD, USA? 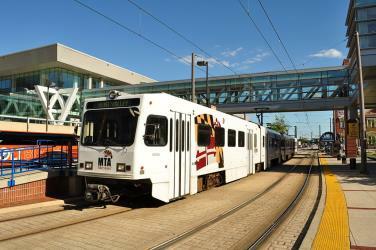 Maryland Transit operates a vehicle from Oriole Park at Camden Yards to Milford Mill Station every 15 minutes. Tickets cost $1 - $5 and the journey takes 16m. Rome2rio's Travel Guide series provide vital information for the global traveller. Read our range of informative guides on popular transport routes and companies - including Travelling to the US: What do I need to know?, 4 stunningly beautiful Philippines islands you need to visit and How to get from London City Airport into central London - to help you get the most out of your next trip. The Inner Harbor is a historic seaport, tourist attraction, and landmark of the city of Baltimore, Maryland, USA. It was described by the Urban Land Institute in 2009 as “the model for post-industrial waterfront redevelopment around the world.” The Inner Harbor is located at the mouth of Jones Falls, creating the wide and short northwest branch of the Patapsco River. The district includes any water west of a line drawn between the foot of President Street and the American Visionary Art Museum. Hampden is a neighborhood located in northern Baltimore, Maryland, United States. Roughly triangular in shape, it is bounded to the east by the neighborhood Wyman Park to the north by Roland Park at 40th and 41st Street, to the west by the Jones Falls Expressway, and to the south by the neighborhood Remington. The Homewood campus of the Johns Hopkins University is a short distance to the east. Oriole Park at Camden Yards, often referred to simply as Camden Yards or Oriole Park, is a Major League Baseball (MLB) ballpark located in Baltimore, Maryland. Home to the Baltimore Orioles, it is the first of the "retro" major league ballparks constructed during the 1990s and early 2000s, and remains one of the most highly praised. It was completed in 1992 to replace Memorial Stadium. 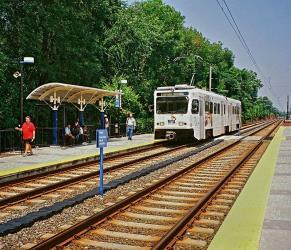 Rome2rio makes travelling from Oriole Park at Camden Yards to Milford Mill Station easy. Rome2rio is a door-to-door travel information and booking engine, helping you get to and from any location in the world. 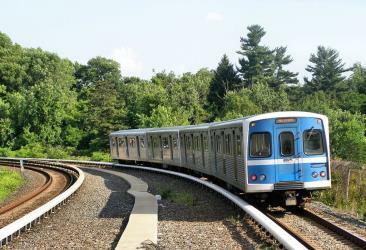 Find all the transport options for your trip from Oriole Park at Camden Yards to Milford Mill Station right here. Rome2rio displays up to date schedules, route maps, journey times and estimated fares from relevant transport operators, ensuring you can make an informed decision about which option will suit you best. Rome2rio also offers online bookings for selected operators, making reservations easy and straightforward.